Lucifer’s fall from heaven is considered the greatest in the history of creation but Issa Hayatou’s defeat in the just ended Confederation of Africa Football elections will go down in the history of the beautiful game as the greatest fall of a mortal turn god. Hayatou is the fifth president of the Confederation of African Football. He was born in Garoua, Cameroon, the son of a local Sultan, and became a middle distance runner and physical education teacher. Hayatou had a successful career as an athlete, becoming a member of the Cameroonian national squads in both Basketball and Athletics, and holding national record times in the 400 and 800-meter running. In 1974, aged just 28, he became Secretary General of the Cameroon Football Association, and Chair of the FA in 1986. As chair, he was chosen the same year to sit on the CAF Executive Committee. Following the retirement of Ethiopia's Ydnekatchew Tessema from the CAF presidency in August 1987, Hayatou was elected as the fifth president in the body's history. Just like any mortal ruler, Hayatou’s almost 3 decades reign as the boss of Africa football had the good, the bad and scandals. Hayatou has overseen particularly successful FIFA World Cup appearances by Senegal, Nigeria, Cameroon and Ghana, and pushed for African places in the finals to increase from two to five, with the 2010 World Cup in South Africa seeing the hosts garner an automatic sixth spot for an African team. Hayatou presided over both the bid and the organising committee for the 2010 games, the first in Africa. The African Cup of Nations finals expanded from 8 to 16 teams, in a confederation of over 50 nations in six zones and five regional confederations. Club competitions have undergone a similar growth in both numbers and scale, with more clubs participating in the CAF Champions League, the CAF Confederation Cup (begun in 2004 for national cup winners and high-placed league teams. Many praised Hayatou for the introduction of the Championship of African Nations, a tournament for home based players. But of cause his reign was not without scandals, In November 2010 Andrew Jennings, the presenter of FIFA's Dirty Secrets, an edition of BBC's flagship current affairs programme Panorama alleged that Hayatou had taken bribes in the 1990s regarding the awarding of contracts for the sale of television rights to the football World Cup. Panorama claimed to have obtained a document from a company called ISL which showed that Hayatou was paid 100,000 French Francs by the company. ISL won the contract to distribute the television rights. Hayatou has denied the allegations, saying that the money went not to him but to CAF. 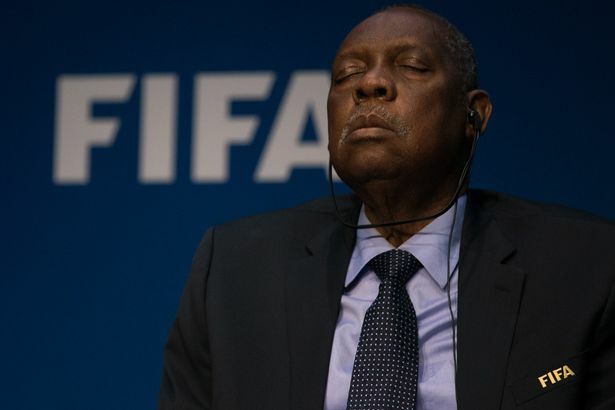 The IOC has announced it will investigate Hayatou, due to his membership of the organisation. In May 2011, The Sunday Times published claims from a whistle-blower that Hayatou had, along with fellow Executive Committee member Jacques Anouma, accepted $1.5 million bribes from Qatar to secure his support for their bid for the 2022 FIFA World Cup. 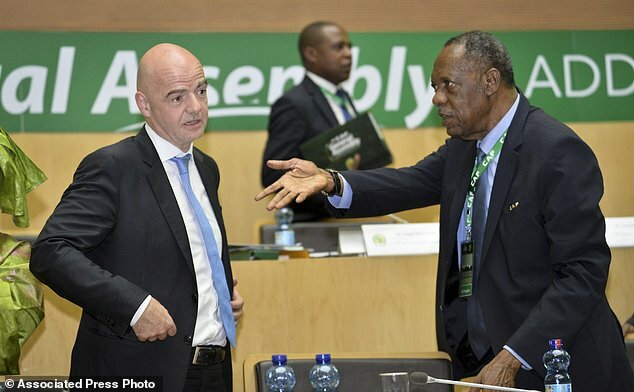 Hayatou became the Senior Vice-President of FIFA and later became the Acting President after Sepp Blatter resigned as FIFA Boss. He was also, 2001 elected member of the International Olympic Committee during the Moscow session. These made him very powerful and influential, using his influence to pass laws that will allow him to stay in power as long as his soul will permit him. In 2015 all 54 countries at the organisation's congress in Cairo agreed to change the statutes which previously stopped officials serving past the age of 70. The Confederation of African Football voted to remove an age limit on its officials, paving the way for Issa Hayatou to stay on as president. CAF previously brought in a rule that, candidates for its presidency can only come from the ranks of its own executive committee, a tight-knit club closely controlled by Hayatou. Fifa did not have the same restriction. At this point only a miracle could save Africa Football since those who qualify to contest Hayatou were too scared to do so or were enjoying the grace of the mortal turn god. Then came the ambitious bid from the FA President of Madagascar Ahmad Ahmad. His rare and determined bid for “change” at the head of the CAF this year took many by surprise, and the incumbent was seen as the favourite. However what was about to hit Hayatou, even him as a mortal turn god had no idea. Ahmad won the election in the Ethiopian capital by 34 votes to Hayatou’s 20, official results showed. Delegates cheered and pumped their fists in the plenary hall after the result was announced. At the end of the day, it was Issa Hayatou’s own inner circle and close friends like Kwesi Nyantakyi who betrayed him like Judas did to Jesus.